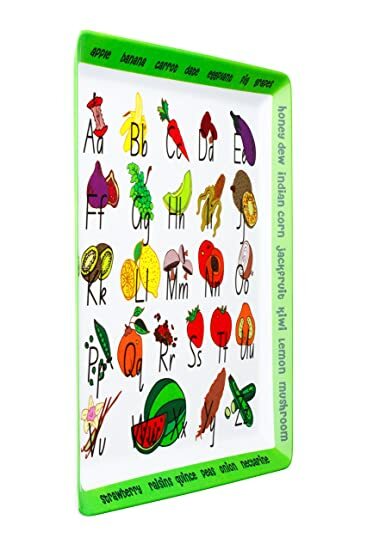 Why is the Education On A Plate® so important? 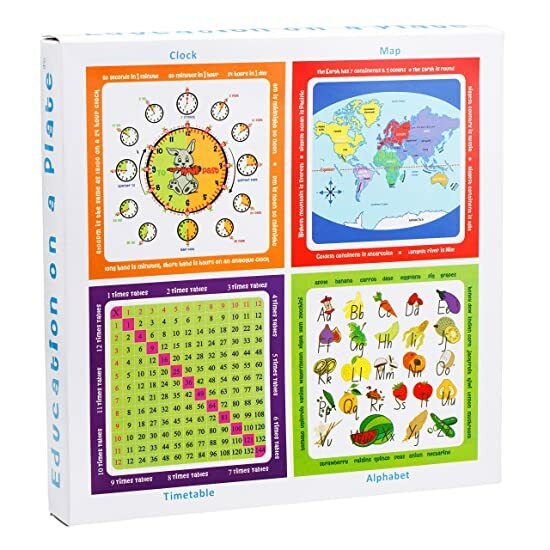 Children will gain crucial learning skills and knowledge all in a subtle and entertaining way while they eat breakfast, lunch or supper! 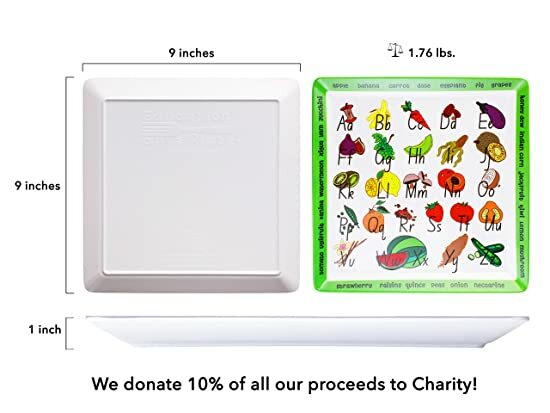 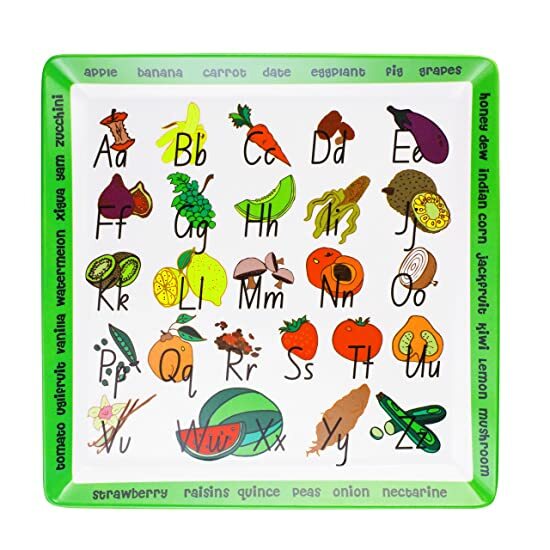 Great for fussy eaters as they will want to finish the food to see the plate below the food! 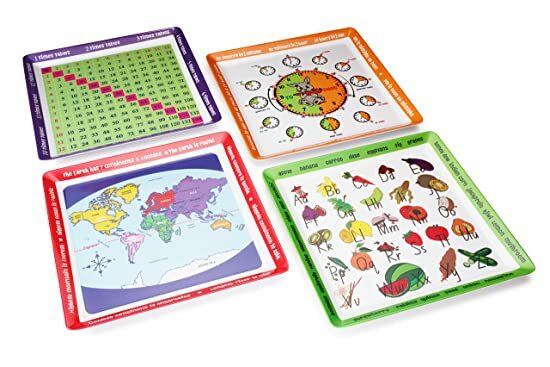 Say goodbye to predictable cereal boxes and say hello to Educational Plates! 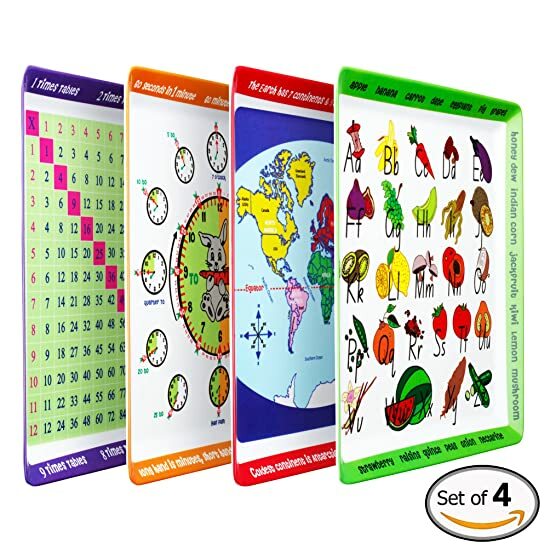 With this special 4-pack, you will get 4 different uniquely designed plates with a wide range of topics.